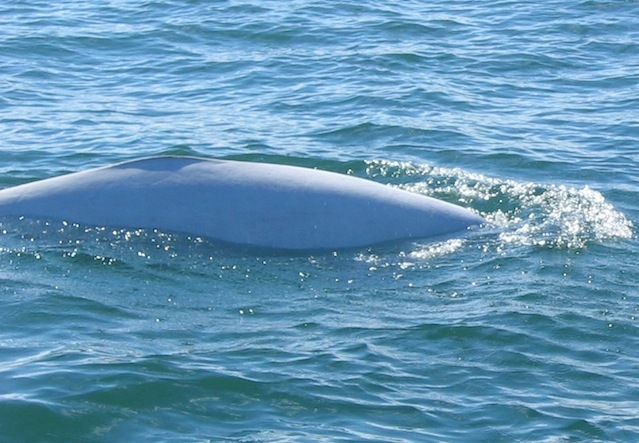 One of the world’s southernmost populations of white whales can be seen during a boat tour of Quebec’s St-Lawrence River. In silence, the belugas swim alongside the boat and underneath it – a breathtaking glimpse of an exotic northern species. The most exotic part of Canada is its Arctic region, the vast expanse of tundra and ice inhabited by about 50,000 Inuit and many white animals, ranging from Arctic hares to polar bears. Unfortunately, it’s challenging to travel to the polar region: settlements are tiny and far-flung, there are no roads, and to fly up from the population centres of southern Canada is often more expensive than it is to fly to Europe. Luckily there are some options for visitors to Canada to catch a glimpse of the wondrous white world of the North, without making the investment needed for a trip to the Arctic. One little known attraction is one of the world’s southernmost populations of white whales, belugas. This group of an estimated 1,000 whales lives in the St.-Lawrence River, one of the major access rivers to the North American continent, a manageable five-hour drive northeast of Montreal. 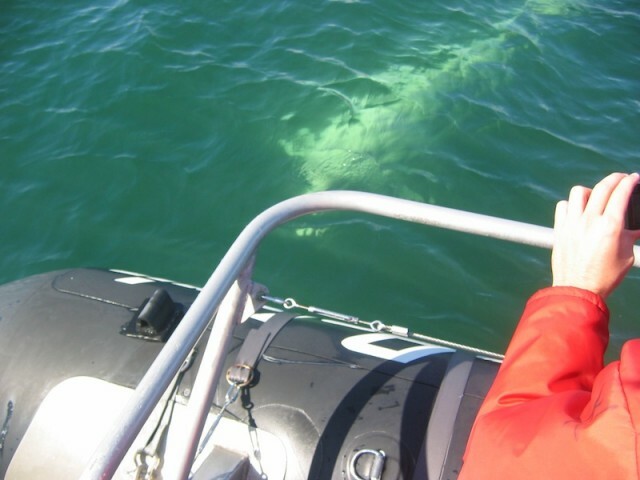 Back of a white belauga whale in the Saint-Lawrence River. Personally, I like to go there to marvel at the peaceful grandeur of these fragile marine creatures during a boat trip. The best time for a boat safari in search of whales is late summer or early autumn, because aside from belugas, other types of whales can be spotted in the area, ranging from relatively small minke whales to – if you’re lucky – blue whales, the largest animals that have ever inhabited this planet. They migrate to the St-Lawrence from warmer, southern waters. The belugas stay all year. The whales are concentrated where the Saguenay River flows into the St.-Lawrence, or Saint-Laurent in French-speaking Quebec. This river junction is about 2.5 hours drive northeast of Quebec City, an historic fortress and an excellent base for a trip to the region. The inflow from the beautiful Saguenay fjord provides a wealth of sea organisms that whales feed on. The St.-Lawrence is so wide here that you cannot see one shore from the other. From Baie-Sainte-Catherine on the northern shore, boats depart for tours lasting several hours. We opt for the zodiac, an inflatable motor boat. Passengers get thick rubber rain suits to wear, because it’s windy on the water, and even when it’s not raining you get wet from splashing water while the boat rushes to the centre of the river. A beluga whale swims by the side of the boat. Once there, the engine is turned off and the search begins for the spray from the breathing holes of whales when they surface. Whales range in length from 8 to 30 meters, but usually you only see their backs and dorsal fins as they come to the surface for air. They glide through the water three times before returning to the depths. Whales are not aggressive – and belugas are the friendliest kind. They approach the bobbing boat curiously, their white mass becoming visible under water. The animals, from 3.5 to 5 meters long and weighing 700 to 1,500 kilograms, have a characteristic bumpy forehead, and what seems to be a smile on their face. They do not have a fin on their back, but they do have a breathing hole. In silence, they swim alongside the boat and underneath it. It is a wonderful and breathtaking sight – a look at a species from the north just a few hours from home.